Blvd Feb.5, San Andres, Veracruz, Mexico. We are proud to present our Limited Edition “Santa Clara 50 Anniversary Triple Maduro” which is the result of years of effort, dedication, delivery but above all love for tobacco. For 50 years that our cigar factory was founded, today it remains one of the leading companies in this field in Mexico. Thanks to all of you our clients that have allowed our growth, today we are launching this Limited Edition, which aims to thank you for your unconditional support. With pride from hand to hand. Blvd Feb. 5 San Andres Tuxtla, Veracruz, México. 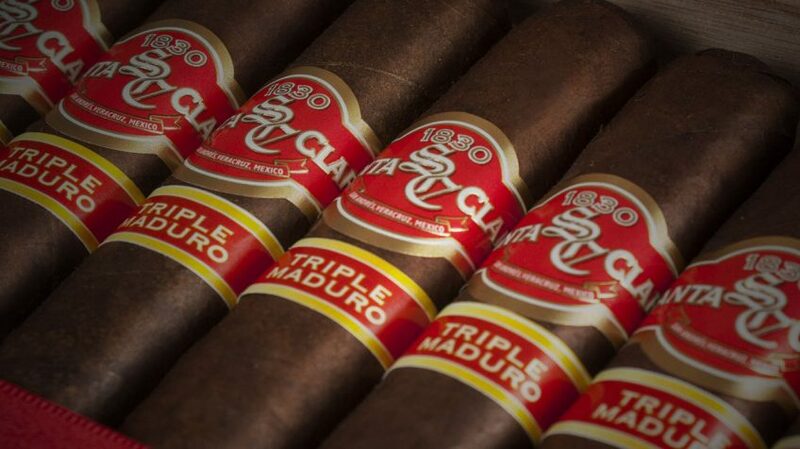 Santa Clara Puros contains tobacco-related content, and you must be 18 years old to view this website. Please enter your date of birth to verify age.